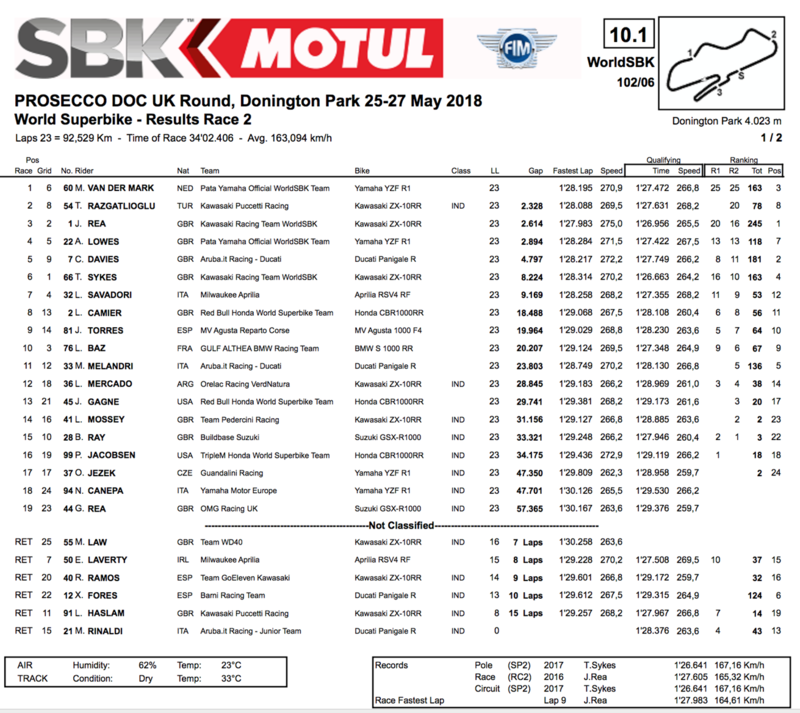 Michael van der Mark controlled this afternoon’s second World Superbike race as he stormed to a terrific double at Donington Park with Puccetti Kawasaki’s Toprak Razgatlioglu getting the better of World Champion Jonathan Rea for a shock second place. 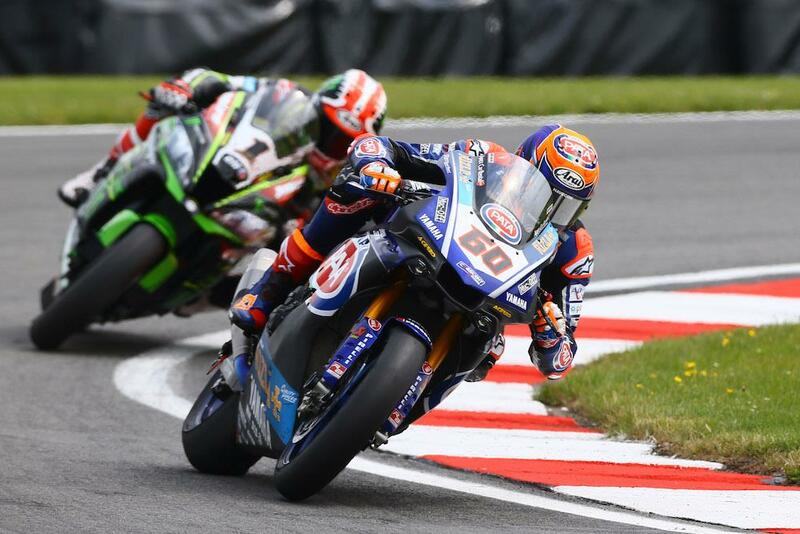 It was Lorenzo Savadori who took the lead in the early stages, but polesitter Alex Lowes soon shot to the front. The Brit led a large part of the race, but both team-mate van der Mark and Jonathan Rea looked threatening as they fought through the pack from their reverse grid positions. Looking impatient for a way around Lowes, Rea would eventually take the lead with a hard move on Lowes at the loop, with van der Mark then slipping past his team-mate before pushing Rea wide at Melbourne to take the lead. The Dutchman was able to stretch out a buffer to Rea behind, who’d then come under pressure from Turkish rider Toprak Razgatlioglu who had got the better of Lowes. Lowes finished fourth having led a large chunk of the race while Chaz Davies was able to take fifth place from a tough weekend for the Aruba Ducati squad. Former king of Donington Sykes took a disappointing sixth place ahead of Aprilia’s Lorenzo Savadori. Leon Camier crossed the line in eighth ahead of Jordi Torres while Loris Baz rounded out the top ten. Luke Mossey was the highest ranked British wildcard in 14th ahead of Bradley Ray in 15th. Leon Haslam dramatically crashed out of second place in the early stages. Rea now leads the series standings by 64 points over Chaz Davies with van der Mark’s double moving him third overall.